Spotify on Monday announced the ‘What’s Next” conference, an event that will take place in New York City on November 30th. 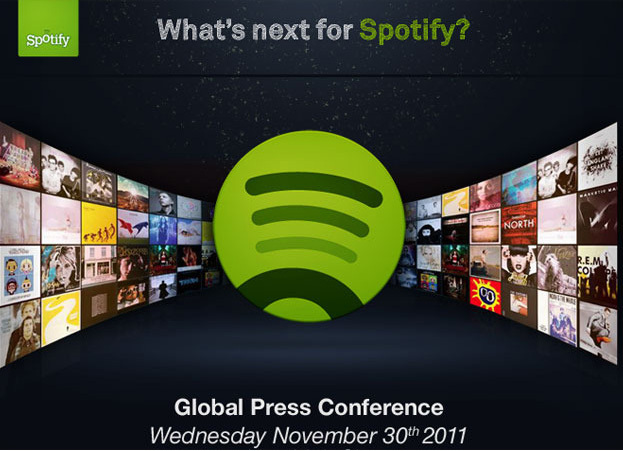 During the event Daniel Ek will discuss “what’s next” for the music streaming company while bringing “special guests” up on stage to join in the discussion. It’s still unclear what new innovations the company will announce at the event although it’s believed that they may finally announced a much anticipated iPad app or a new music store that they hope will compete with iTunes and Google Music. At this time it’s hard to guess what new will be announced for a service that only launched in the United States several short months ago.